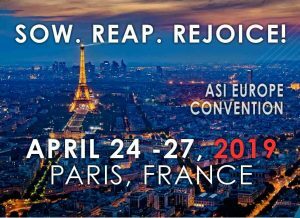 The venue of the ASI Europe Convention is from Wednesday to Friday: Novotel Hotel Paris Est, 1 Avenue de la Republique, 93177 Bagnolet. Please book your own hotel. We recommend the ****Novotel Hotel Paris Est. 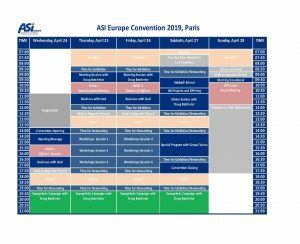 The ASI price is EUR 129 per night single room (breakfast included) + EUR 2,50 city tax and EUR 139 per night double room (breakfast included) + EUR 2,50 city tax per person. Please choose “special offer” and use during the reservation following code: ASEU19 if required.